Netflix have been revealing a ton of information for the anime community over the past week, as seen through their panels from AnimeJapan 2019 as well as their social media channel NX. This information ranges from new anime announcements to official release dates for the series both new and previously released in Japan. 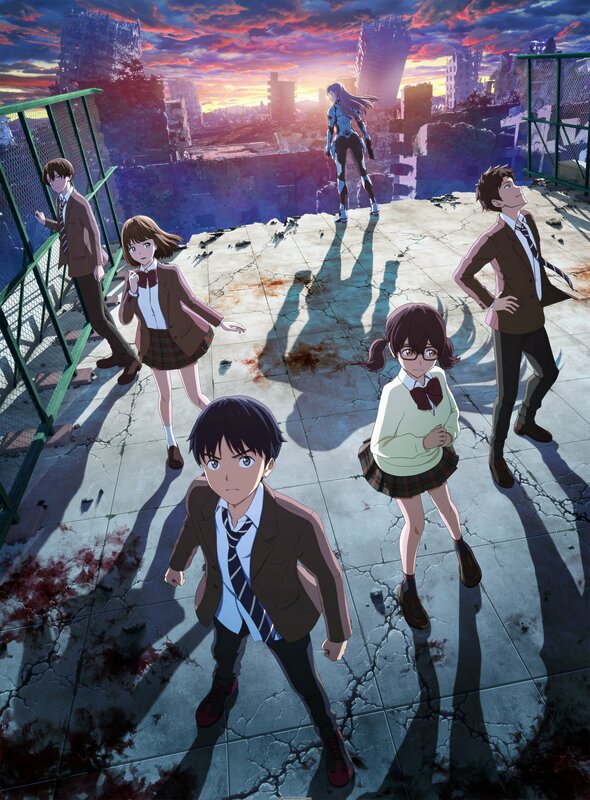 We have reported on the Netflix Original anime currently scheduled for April 2019 which is available to read here and here. For this write-up we will be covering the latest news revealed from the past week. This May we will finally see the appearance of REVISIONS, an original CG anime series from studio Shirogumi now scheduled for 14th May 2019. The series recently aired in January 2019. 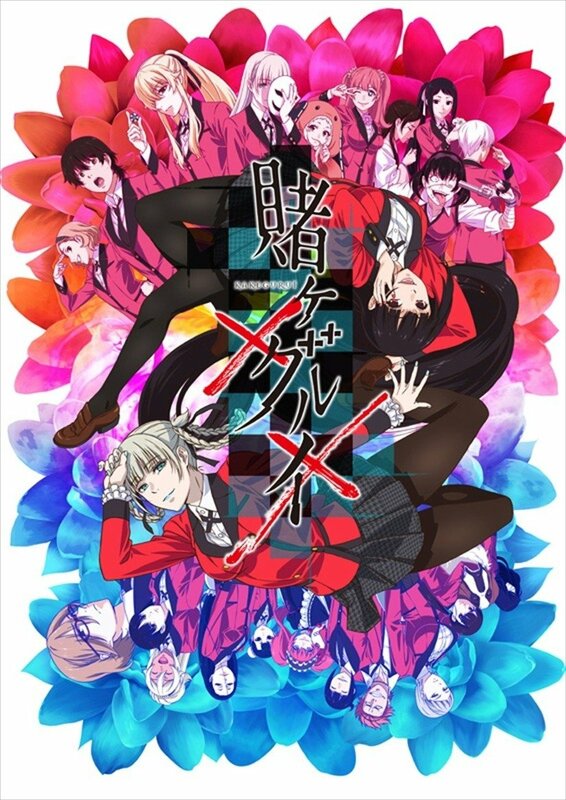 The second season of Kakegurui will make its Netflix debut outside of Japan on 13th June 2019. Based on Homura Kawamoto’s 2014 manga, MAPPA returns to animate the gambling anime series. The series recently aired in January 2019. As briefly mentioned on Saturday morning (UK time), Neon Genesis Evangelion will be heading to Netflix on 21st June 2019. This will include both the main 1995 TV series and its feature-length films EVANGELION:DEATH TRUE² and The End of Evangelion plus a brand new English dub. Toei Animation’s CG remake Saint Seiya: Knights of the Zodiac will be available on 19th July 2019. This is a new adaptation that will cover the Galaxian Wars and Silver Saints arcs from the manga source material. Later that month we have Kengan Ashura on 31st July 2019. An adaptation of the 2012 manga series from Sandrovich Yabako that will be adapted into CG anime form by Larx Entertainment. 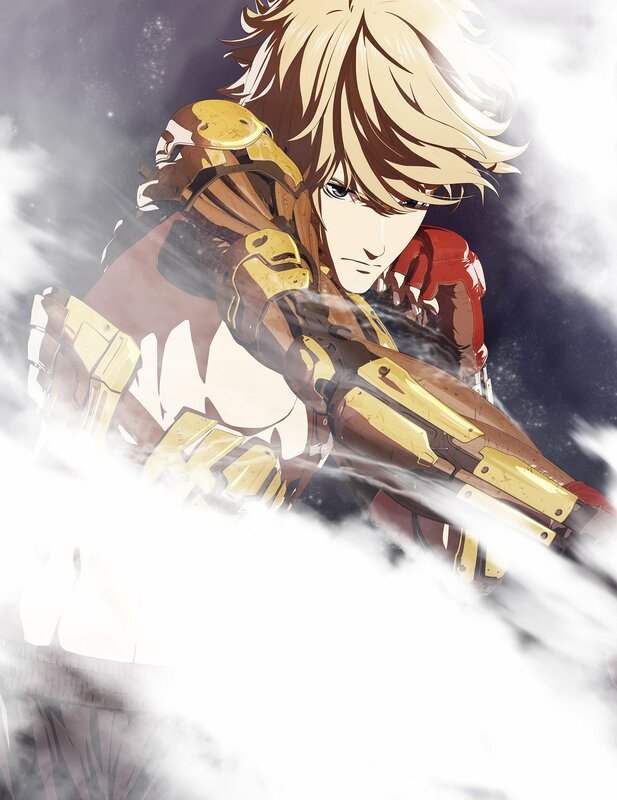 Moving on to new announcements, studio Polygon Pictures returns to offer an adaptation of Haruhisa Nakata’s 2012 boxing manga series Levius which will be coming to Netflix worldwide this Winter 2019. A continuation has been announced over in AnimeJapan 2019 for Baki. 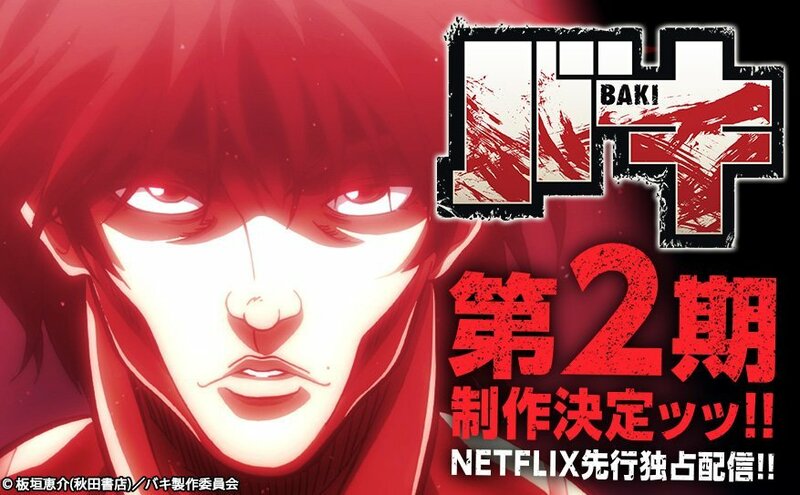 Much like the first season (which is technically the third season if you count both seasons of New Grappler Baki’s anime from back in 2000), the second season will also be heading to Netflix. After providing two anime seasons and a special to wrap up the manga, there was a surprise announcement from AnimeJapan 2019. 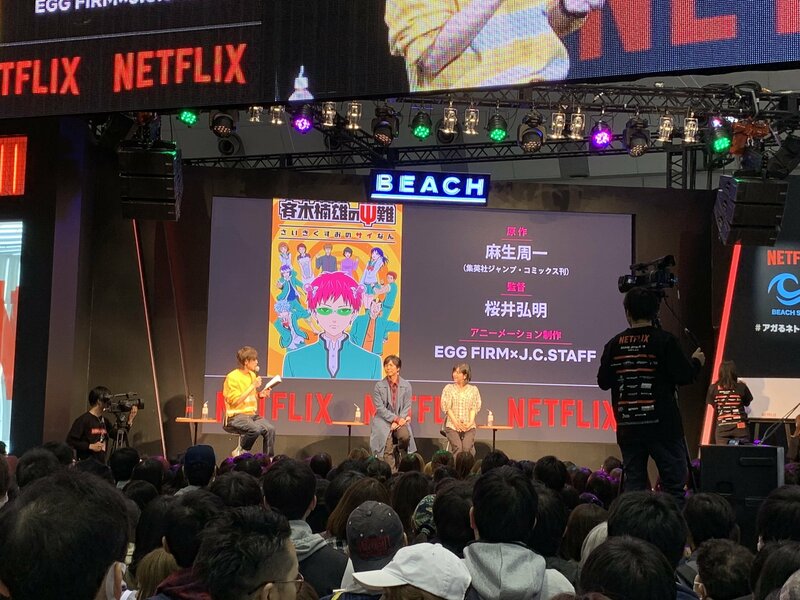 Netflix will be offering a new anime series for The Disastrous Life of Saiki K. It is currently unknown if this will be a new original anime series, a remake, or adapting chapters that weren’t covered in the previous anime but both EGG FIRM and J.C.STAFF will return for the animation. As mentioned in our Netflix round-up for 2019 and beyond, Fuji TV’s +ULTRA programming block have added some more titles that will also be heading to Netflix. Joining INGRESS, REVISIONS, and Carole & Tuesday is Paru Itagaki’s BEASTARS from studio Orange and Taku Kuwabara’s Drifting Dragons from Polygon Pictures. Both of these shows will be available on Netflix first in Japan before the rest of the world. That’s all of the Netflix news revealed thus far. As the Spring 2019 season is soon approaching we could expect some more titles to be announced for the Netflix platform. If there are any new updates on titles such as 7SEEDS or Cannon Busters then we will update our round-up post as soon as possible. Source: Netflix’s NX social media, Baki, Saiki K.